I suffer from the classic working mother’s guilt trip. I never call her and every time she calls me I have a guilt trip. Hector is going through a major guilt trip over losing his job. Officials found the cocaine haul hidden in the wheels of the truck. It was one of the biggest drugs hauls police have seen in recent years. Police say it is the largest haul of stolen art in years. His photograph was highly commended in the Wildlife Photographer of the Year competition. The judge commended her for/on her bravery. It says on the back cover of the book “highly commended”. 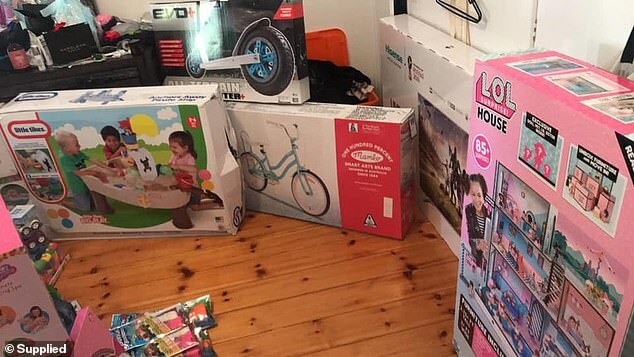 An Australian mother has shocked the internet by revealing her Aladdin’s cave jammed full of Christmas presents she has bought for her three young children. Kristy Nowak stored the gifts across 14 cupboards in the family home, including bikes, video games and stuffed toys. 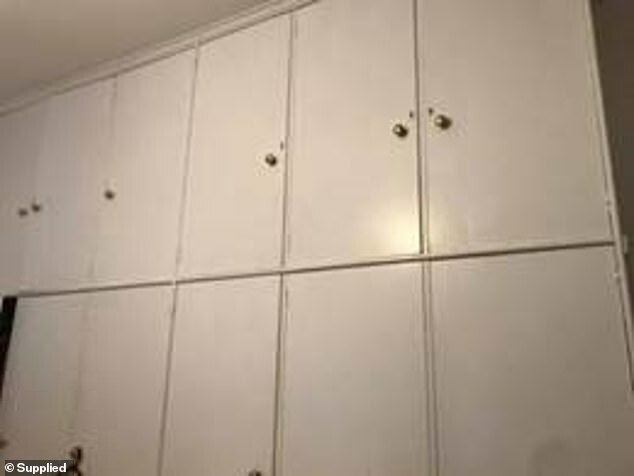 They were bought over five months and when placed together, almost filled an entire room. The haul is estimated to have cost the mother £1,700 or 3,000 Australian dollars. 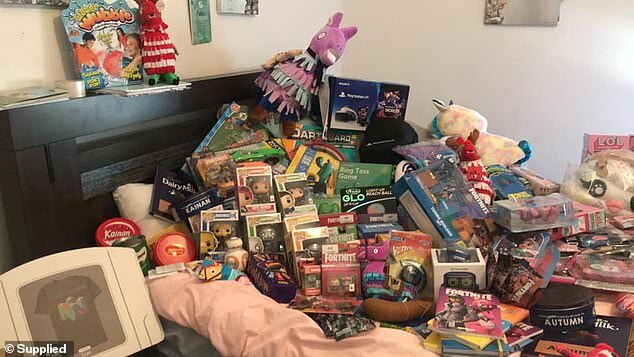 Some users of a mother’s Facebook group expressed their shock at the ‘amazing’ Christmas present haul – while others questioned whether she had gone too far. 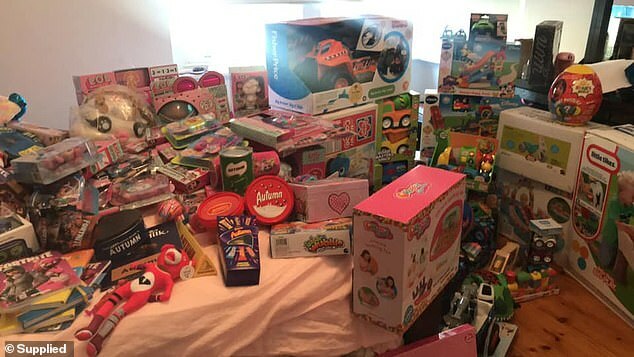 Kristy shared the video and pictures of the Christmas haul to a mother’s group, saying: ‘Finally emptied my Christmas cupboards to see what I’ve collected over the last few months… did I mention that I LOATHE wrapping presents. His shop, a veritable Aladdin’s cave of antiques, is for sale. We sat for an hour in jammed traffic. The trip will cost (you) $1000. Unemployment costs the taxpayer billions each year. His decision to take the car cost him his life. He ordered her to empty her pockets. I emptied the closet and put my belongings into the black overnight case. Would you mind emptying (out) your pockets? She emptied her husband’s mug in the sink. Once the movie ended, the theater emptied quickly. I loathe having to get out of bed so early on a Saturday. She simply loathes her ex-husband. From an early age the brothers have loathed each other. However, some were quick to criticise her for her extreme present haul. ‘Oh dear… a bit much. I’d be saving for some birthdays,’ shared one, while another stated ‘that’s ridiculous’. But Kristy was quick to silence the haters, stating she wouldn’t let society ‘guilt trip’ her for showering her children in gifts. ‘Society will try let you believe there is [something wrong with spoiling your kids] or try guilt trip you for it [sic],’ she said. Jessica’s face was blank with shock. News of the murder left us all in shock. He silenced her with an angry look. They were completely silenced by the news. The teacher raised his voice to silence the class (= to make them stop talking). He showered her with flowers and jewellery. Susan showered kisses on the baby. She only sees her niece occasionally, so she showers her with presents when she does. His boss showered him with praise.